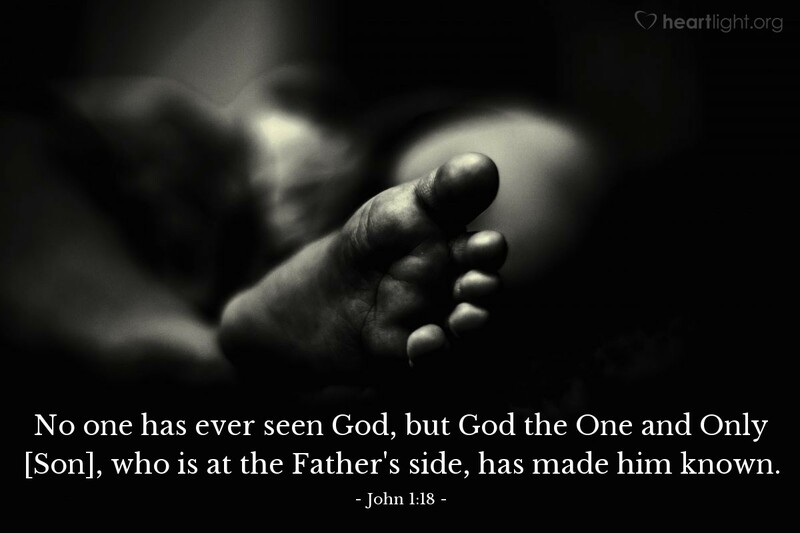 No one has ever seen God, but God the One and Only [Son], who is at the Father's side, has made him known. Jesus is God's greatest message. He not only proclaims and declares God's love, mercy, and grace, he has made it known. Only Jesus can display God to us fully, for he is one with the Father. Yet when we "see" Jesus ministering in the Gospels, we see God. If we want to know how God feels about us, all we have to do is look at how Jesus ministers to others. If we want to know what God would do for us, we can notice what Jesus does to bless others. Jesus is our window to the Father's heart. So as this year winds down, and as you stand in the afterglow of Christmas, why not make a commitment to get to know Jesus better in this coming year by spending more time with him in the Gospels (Matthew, Mark, Luke, and John). If you do, you will better know God!